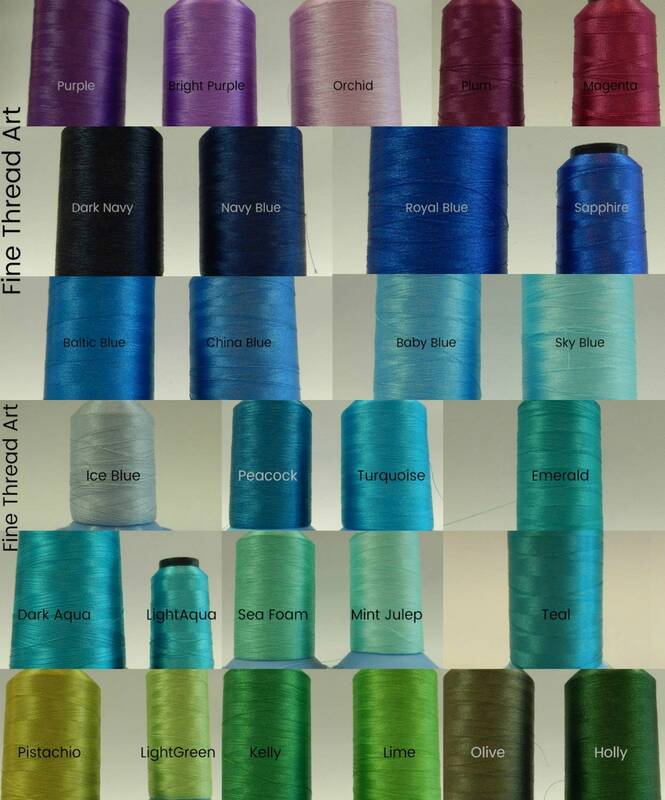 Please remember to include thread colors to insure that your order isn't delayed! Thanks! 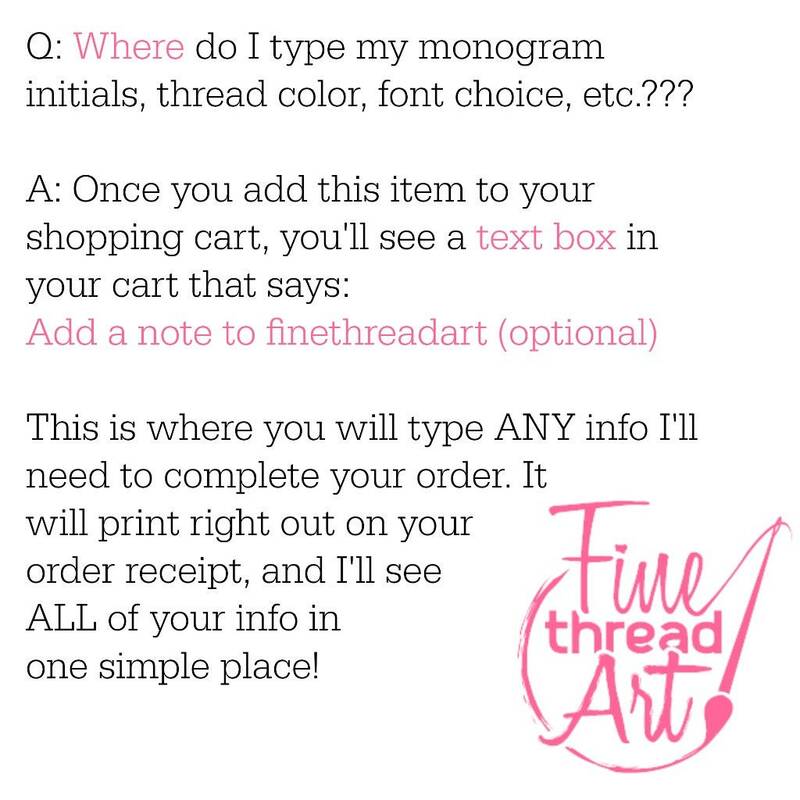 You'll type these in the text box in your shopping cart before checking out. 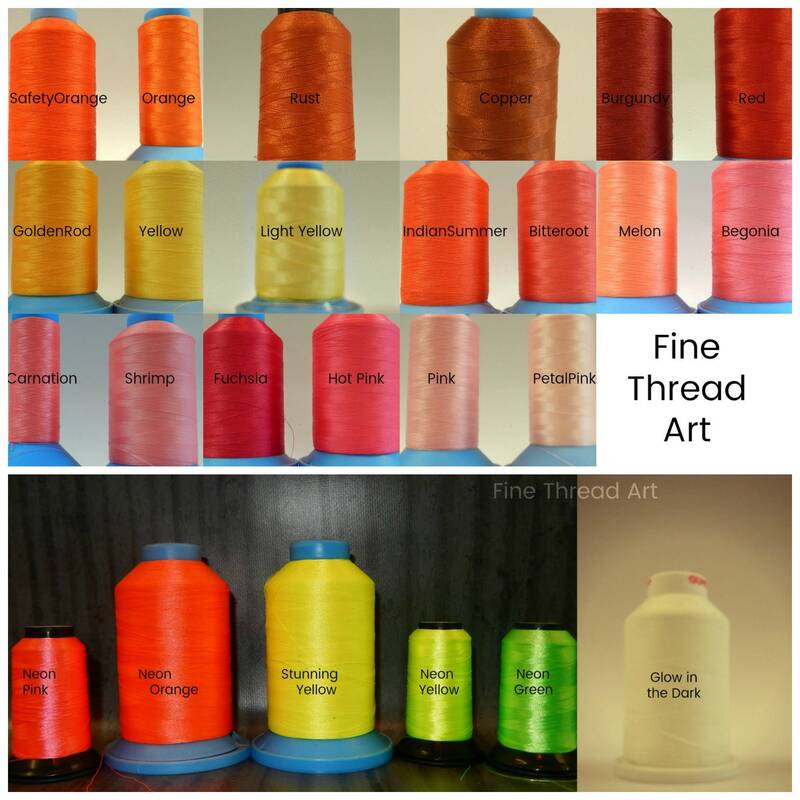 Turnaround time is 2-3 weeks. Please send a message before ordering if you need your hat by a specific date. We'll let you know ASAP whether we can get it out in time! Thanks! Every Mama Bear needs a hat day! - Adult sized hat... good for men or women! 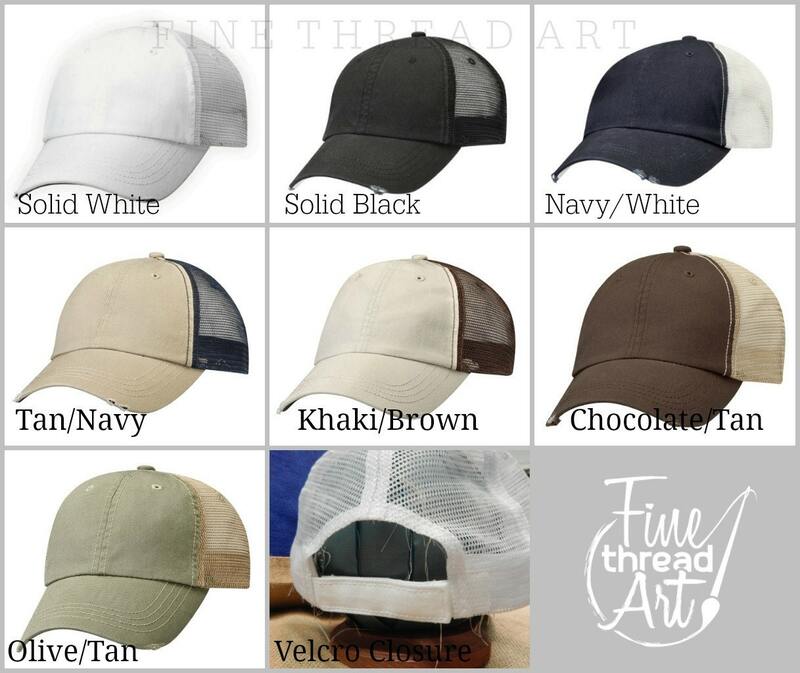 - Main photo shows solid black hat with crosshatch metallic fabric #4. 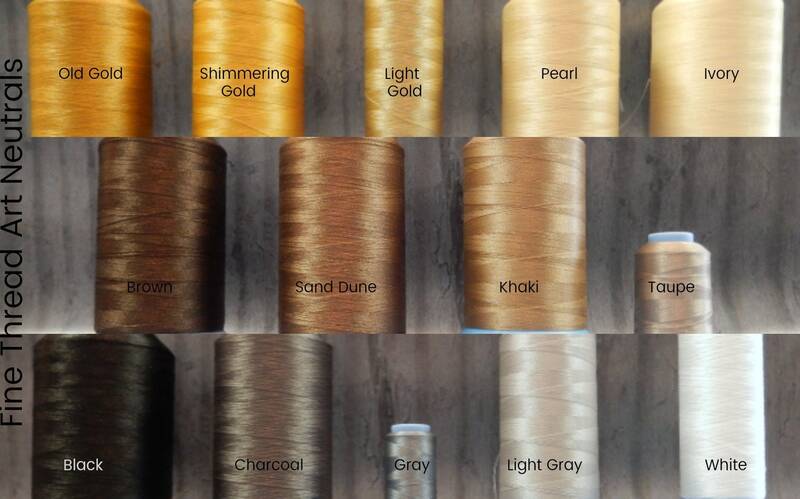 Bear outline in shimmering gold thread and "Mama" in black. 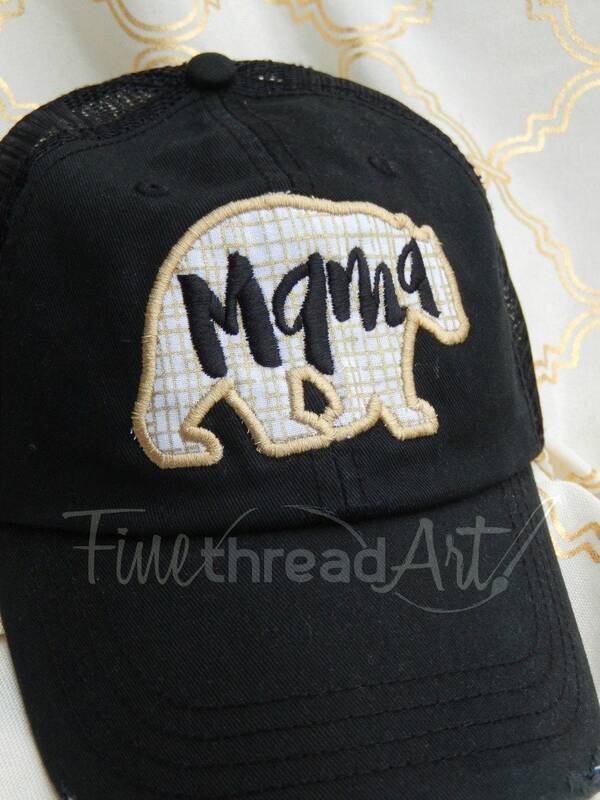 - Mama Bear applique will be embroidered on front/center of hat at around 2" tall. 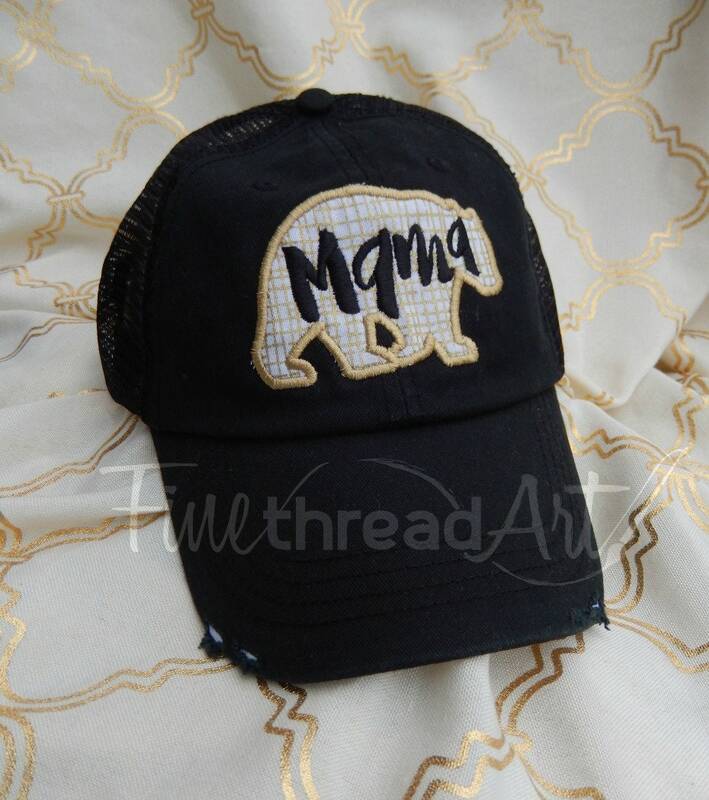 - You can choose any applique fabric that you'd like as well as 2 thread colors... one for the bear outline and one for the word "Mama"
Love this design but wish it was on another hat?? Not a problem! 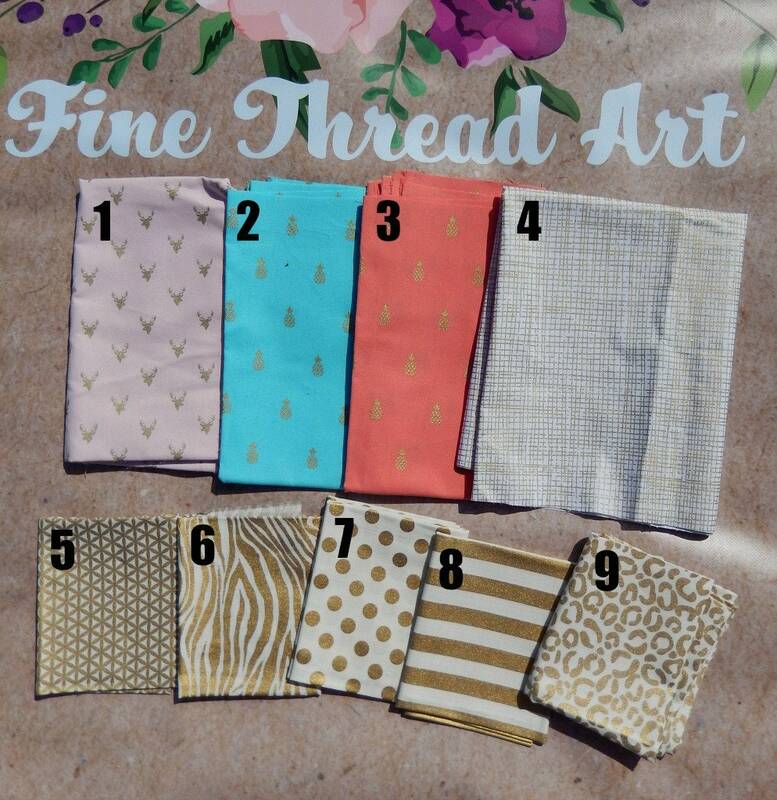 Just send a message, and we'll create a custom listing for you!